Voting for the 3 seats up on the troubled Kansas City School Board is very light. At three different locations by mid-afternoon, containing four precincts, a total of 42 votes had been cast out of about 2800 voters on the rolls at those polls. In each of the four precincts informally surveyed, all the candidates are write-in candidates. Voting did not appear to pick-up too much in the traditional late-afternoon voting period. One poll worker blames the lack of turn-out on poor publicity by the Kansas City Election Board and the Kansas City School District. The Kansas City school system, however, has been in the headlines since late last summer. At that time, the district had just learned it was losing it’s state accreditation. Then the superintendent, Dr. John Covington, resigned abruptly. Within the last month, the headlines popped up again. The current superintendent, Dr. Stephen Green is involved in an intense battle with parents who oppose his plan to change the leadership at the district’s three African Centered Education (ACE) schools. Only two candidates, incumbent Arthur Benson and challenger Jon Hile are listed the ballots. Both are running in the 1st sub-district. 12 others are running organized write-in campaigns, including School Board President Airick West and incumbent Duane Kelly. Kansas City Election Board Director Shawn Kieffer says it will be seven-to-ten days before all the write-in ballots in the 3rd, 5th and at-large races are determined. Many of the write-in candidates filed notices of their intent to run a write-in campaign But that list, say election officials, should not be regarded as comprehensive. Kieffer says the process to count the write-in votes may be easier than anticipated because turn out is so light. Another issue is determining the intent of the voter. 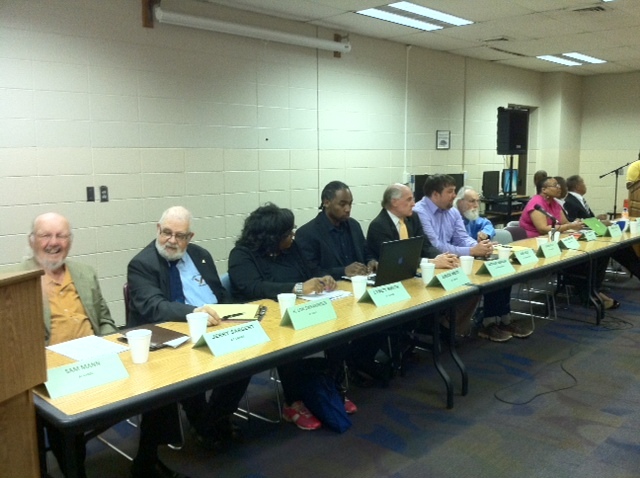 Several candidates have distinctive names. That includes Board President Airick West and Lyne’t Smith. Marisol Montero is also running as a write-in candidate. Kieffer says if they can determine who the voter is trying to vote for, they will count the ballot. Other other hand, if the write-in vote is for a very common name, ‘John Smith’, for example; they may not count it. That’s because the voting rolls may contain many registered voters under the name ‘John Smith’. Kieffer says the election officials will start counting the write-in votes Wednesday. Meanwhile legislation to eliminate the elected Kansas City School Board continues to be considered in the Missouri legislature. The recent turmoil in the district is a factor in that. Another major issue prompting reform calls are the district’s poor scores on state exams that led to the district being stripped of state accreditation at the first of the year. The races for the Kansas City School Board election today are as muddy as the future of the district. The Kansas City election board says results will be delayed because of so many write-in candidates on the ballot. The election board says with 12 of 14 candidates standing for election as write-in candidates, it will be days before all the ballots will be counted. The write-in candidates include the school Board president, Airick West who is trying for a second term on the troubled board. Only incumbent board member Arthur Benson and Jon Hile formally filed to run. That does not mean the campaigns are not organized. There are several slates being offered that include write-in candidates. Typically, Kansas City School Board elections attract a very small number of voters. With many write-in candidates that could be the case against today. Polls remain open until 7pm tonight. The new school board may the one the state of Missouri attempts to replace or eliminate. Several reform measures being considered in the state legislature would remove the elected board and replace with a special administrative panel. The other big issue on the Kansas City area ballot is a call to raise taxes for the Independence Police Department. The question on the ballot is whether or not voters will approve an increase in the city’s real estate tax. Boosters say it would raise taxes by about $69 per year. The money would add people to the Independence Police Department. The Department says crime is on the rise in the city and they need more resources to fight back. Critics, however, say Independence City Hall does not deserve the money because it does not spend its funds well. Critics point to the bass pro development near the I-435 and Highway 291 interchange. The City has had to pay money into the project because it is not meeting financial projections. 12 of 14 KC School Board candidates are write-ins, including Board President Airick West. Don’t expect many Kansas City School Board results Tuesday April 3. The Kansas City Election Board says they will not count the write-in votes the night the polls close Tuesday April 3 at 7pm. 12 of the 14 Kansas City School Board candidates are write-ins, including Board President Airick West. Only incumbent Arthur Benson and Jon Hile filed before the deadline. In a statement Wednesday, the Kansas City Election Board explained the delay. It says 90% of Kansas City precincts use OptiScan paper ballot voting machines. The Board says write-in voted will not be counted election night Write-in votes must be counted by hand. The Election Board says it may take “seven to 10 days to count the write-in ballots”. The release says more information on the write-in procedures is on the KCEB website, http://www.kceb.org, under the FAQ section. The polls will be open from 6am until 7pm, April 3. 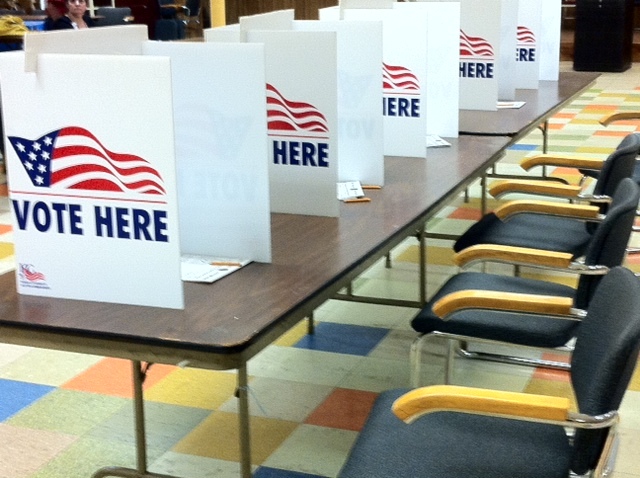 The KCEB has 118 polls; 315 precincts; 215,454 registered voters. The April 3 election KCEB ballot also includes the school board elections for Hickman Mills, Raytown and Grandview.